Georgia Hill writes rom-coms and historical fiction and is published by Harper Impulse, the digital-first imprint of Harper Collins. Her first novel, Pursued by Love has now been re-released as Pride and Perdita. She lives in beautiful Devon with her two beloved spaniels, a husband (also beloved) and a ghost called Zoe. She loves the novels of Jane Austen, eats far too much Belgian chocolate and has a passion for Strictly Come Dancing. The blossom fuzzed around the branches like so much pinky-white candy-floss. In contrast, in the next field, there was a decrepit building housing a tractor. The unploughed field was furrowed deep in red clay mud and, above, the sky had deepened to an azure blue, warm with promise. Rachel's new life in Herefordshire seems a little too ideal, perhaps, but it is perfect for the reader to indulge in some escapism. It contrasts, however, with the events collated in journals and letters left behind by the previous owner of the house. Reading about this, the story of a young woman living in a house once occupied by a lady who was old when she died there, I was reminded of Mary Stewart's Thorneyhold, and hoped that the plot would differ. It does. The voices coming from the diaries and letters are period-authentic, but what we find out about war is new. Horrific, yes, as one would expect, but told from a very different perspective. As a lover of history, I enjoy being provoked into looking at things differently, and Hetty's experiences as an Edwardian woman and WWI wife allowed me to do that. 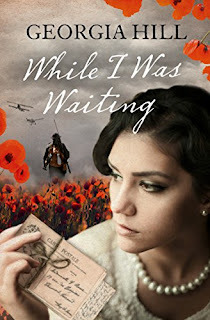 As they do for Rachel, the protagonist, who mourns for the young soldiers whose lives she is reading about, and who are 'snuffed out' just as she is getting to know them. Overall, I felt more captivated by the modern day scenes, but this is as it should be. We never lose sight that this is a book about how the past affects the present. It is not an historical novel. It is a romance, yes, but what I found really refreshing was the glimpses we were given of what happens after the 'happy ever after' - when the irritations of domestic life rub the gleam off the shimmer of lustful new love. These scenes were particularly truthfully written. All the characters are well-written. There are no stock characters or stereo-types, with perhaps one exception. The two main characters, Rachel and Gabe, are deftly drawn, and while we see their beauty, we also see their flaws. The two worlds, past and present, are pulled together in a credible way, and I found the ending satisfying. A great book to curl up with on a Sunday afternoon. The present day scenes in Herefordshire are beautifully described. Do you know the area well? Are the episodes from Hetty’s life based on real events? Did you base the characters in her world on real people? GH: Although I did a lot of research and used snippets and ideas from the many diaries and letters from the World War 1 period, Hetty and her world is completely imaginary. I’ve always been fascinated by the period 1900 to 1920 as people lived through such an era of cataclysmic change. Not just the war but with the coming of motorcars and airplanes, women’s suffrage (and voting rights for a wider group of men too). In the 21st century we sometimes wonder at the pace of change in our lives; it must have been quite extraordinary to live through the first twenty years of the 20th. My great-grandmother lived to her late 90s. She could remember Queen Victoria’s funeral, had brothers who fought in the war, drove one of the first cars in the town and was still running a business in the 1980s. If I had anyone in mind when I wrote the indomitable Hetty, it was her! And where did the idea originally come from? GH: My family, in common with many, suffered a loss during World War 1. My great-grandfather died in battle in 1916. He was always talked about – by his surviving children and, in turn, my father. Dad was fascinated by the war. I used to look through one of his books – a collection of uncensored photographs. It was a book to which a young child probably shouldn’t have had access. It spared the onlooker nothing about what mechanised warfare on a grand scale does to the frail human body. My father’s interest in the war was passed on to me and was intensified by soaking up Vera Brittain’s Testament of Youth, Flambards and Wilfred Owen as an intense adolescent! Then I happened upon the story of three brothers from a local country house (Berrington Hall, now owned by the National Trust) who died during the conflict. All these things, along with my own experiences of moving to the country, were eventually sieved through the imagination to create the book. For those readers unfamiliar with your books, would you say that While I Was Waiting is typical? GH: That’s a very good question and one which I’ve been asking myself! I’m a bit of a two-faced writer – in the nicest possible sense – or maybe that should be two-faceted? While I Was Waiting was a long time coming to fruition. In lots of ways it’s the book of my heart and I love it. In between writing it, I wrote rom-com novellas so it’s not typical of my writing. However, my rom-coms often have quite dark themes at their core and there’s a lot of humour in While I Was Waiting, so maybe my two genres have more in common than I think. I have more dual narrative time-slips planned, it’s simply finding the right home for them. The next one is set on the Jurassic Coast – where I’ve just moved to. We’re so lucky living in the UK. 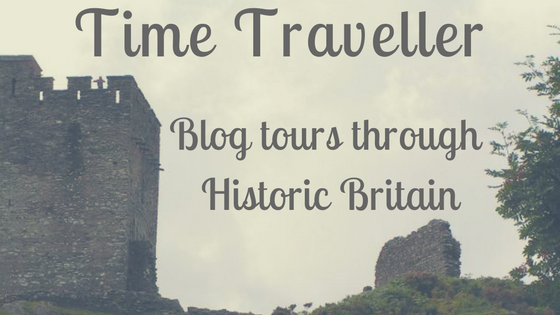 Wherever you go, you just have to scratch the surface of time to find amazing history, folk stories and ideas. I’ve just moved to an area famous for its Mary Anning and Jane Austen connections. I find our history a rich source of inspiration. This month's review represents a bit of a departure for me, in that it is as modern as my historical fiction reading has ever taken me. Other than the 'modern day' parts of Brideshead Revisited, I can't recall ever having read a book set in WWII. 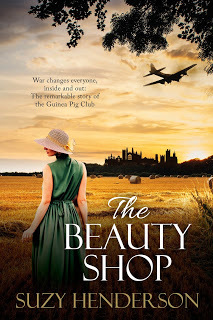 March's featured novel is The Beauty Shop. Suzy Henderson was born in the North of England and initially pursued a career in healthcare, specialising as a midwife. Years later, having left her chosen profession, she embarked upon a degree in English Literature and Creative Writing at The Open University. It was an old black and white photograph of her grandmother in her WAAF service uniform that caught Suzy’s imagination many years ago. Her grandmother never spoke of her war service and died in 1980, taking her stories with her. When Suzy decided to research her family history and her grandmother’s war service, things spiralled from there. Stories came to light, little-known stories and tragedies and it is such discoveries that inform her writing today. Despite what I've already said about never usually reading books set in this time period, I have to say that from the first page, it almost ceased to matter about the setting. Immediately, I trusted that this author was going to provide me with a good, satisfying read. Simply, she does it properly: her writing style is wonderful, with lots of 'showing not telling' but never any showing off. There is nothing mannered or pretentious or forced. In every scene there is a light dusting of scenery, weather, furniture - just enough to let us know where we are and who we are with. The dialogue rang true to me, with speech patterns differing between the Americans and the Brits and without any jarring modern expressions to jolt me out of the past. So to the story itself. This book could have been a fictional retelling of the remarkable people who were involved with the Guinea Pig Club, focusing on the medicine and the technical advances, and that would have been compelling. But here the author chooses to weave a love story into the saga, and it was the right decision. However astonishing the tale of the pioneers of reconstructive surgery, the impact on the lives of those affected is much more movingly told when the reader is encouraged to consider the emotional impact of these events: wives and girlfriends who turn away, the psychological traumas, the attempts at reintegration into society. Within the love story itself, we are confronted with the brutal reality of war. The death of a character induces feelings of guilt, even though the couple are not in a relationship at the time. This must have been a frequent response to such occurrences. The two central characters, Mac and Stella, are well-written and their story plays out realistically. Stella is a woman of her time, and displays 1940s sensibilities. It was easy to believe in her, to watch her firmly in her own world. The events which conspire to make sure that the romance is never straightforward seemed all too real; these people were living through a war, and it marked them both, in different ways. I won't reveal the ending, but I will say that reading the epilogue, which brings some of the surviving characters into the present day, I was reminded once again of the 'realness' of it all, and I cried. What inspired you to write the book - where did the story come from? SH: I was researching Bomber and Fighter Command when I discovered the story of the Guinea Pig Club – a club formed by the burned airmen who were treated by McIndoe. At the time, I had a few ideas floating around for a novel, as you do, but nothing that grabbed me. Then, as I read on, and uncovered more about McIndoe and the club, I suddenly realised I had my story. It was such an intense feeling that gripped me and refused to let go until the story was complete. The inspiration came from McIndoe’s unusual methods of care as opposed to his gifted and pioneering surgical ability. For instance, he insisted on allowing the ‘boys’, as he called them, to keep a keg of watered-down beer on the ward. Then there were the nurses and volunteers. McIndoe insisted on having pretty nurses for his ward as he saw that as one way of maintaining and boosting the men’s morale. By engaging with beautiful women, McIndoe felt they would realise they still had a chance of finding a partner and having a life, despite their disfigurements. And before the term 'sexist' arises, we must remember that the 1940s were very different times. Often these men were depressed, lost, and without hope. McIndoe took them aside, reassured them and showed them how to live again. He knew what his boys needed, and was determined they should have it, no matter the cost. He fought battles with the Air Ministry, and other government and health departments and ranted and raved until he won – but he did it all for the airmen, for their benefit, and I’m quite sure that if he hadn’t, they would have faced a very different and possibly bleak future. This was an era where disabled and disfigured people were shunned, sometimes locked away even from the eyes of society. It is still so relevant for today's society as even though we have moved on and achieved great change, there is still much discrimination and a lack of understanding and compassion. I’m sure on the surface, McIndoe was a typical surgeon and a man’s man, but beneath it all, I sensed a huge heart and much compassion, common sense and foresight. He truly was ahead of his time and a great inspiration. Were you able to talk to anyone who had been directly involved with the Guinea Pig Club? SH: Firstly, I had the opportunity to talk to a dear lady and a former WAAF, Igraine Hamilton. I think it was during 1941 when she became a volunteer on the ward for a short time and she witnessed such a lot. Igraine was specifically asked by McIndoe to become a volunteer – he was a family friend. Her story was very moving indeed, and a couple of things she told me are embedded within the novel. I also chatted with Bob Marchant who is the current club secretary of the Guinea Pig Club and has been directly involved with it for many years now. He also worked alongside McIndoe after the war, during the 1950s, up until McIndoe’s death. Last, but not least, I had the ultimate honour of chatting directly to one of the ‘guinea pigs’, Sandy Saunders. He is the loveliest man, very gentle and he wasted no time at all in re-telling his personal story. His tale was very moving, and I confess I cried at one stage, not that I told him of course, but his voice was rich with emotion and such sorrow. His accident or crash occurred during training towards the very end of the war in 1945, and his navigator was killed. Sandy confessed he has continued to feel guilty for the death of his friend ever since and continues to have nightmares. Yes, that conversation will remain with me always, and I’m so blessed to have had the chance to speak with him. Did you have any prior knowledge of the mechanics of, and technical skills required to fly bombers? SH: No, none at all. I mean I knew the various parts of the B-17, and that was all, so I had a lot to learn. Thanks to the internet I managed to find a B-17 pilot training manual and also relied heavily on personal accounts of pilots and airmen who flew in B-17s during the war. I was able to pick up on various things and discovered enough to be able to write the flying scenes. In addition, I read books, and I watched movies – movies are a fantastic resource and being a visual learner, I found them immensely helpful, especially on the technicalities of flying. It enabled me to show the effects of aerial warfare, something which is difficult to do I feel without experience. And watching movies is such a great way to spend your working day - one of the perks of being a writer! 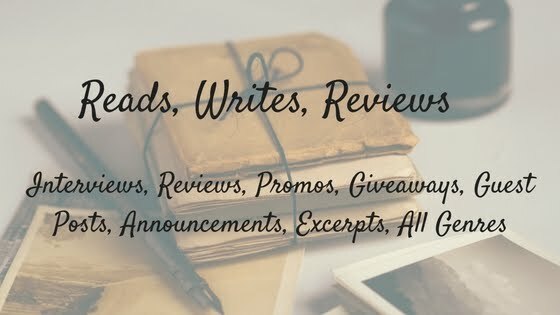 What can readers look forward to - are you working on a second novel? SH: Yes, I am. My next novel will be released later this year, and once again it is set during WW2. However, this story moves between England and France and features another real person – a woman. I’ve wanted to tell her story for quite a while, but I gave way to Archie McIndoe in writing the first book and she’s been patiently waiting ever since.